When you purchase WinRAR Lifetime License you are buying a license to the complete technology, no need to purchase add-ons to create self-extracting files, it’s all included. WinRAR is licensed on a per user basis. Discounts are available when buying licences in volume so that the more licences you buy, the cheaper the unit price will become. Compress, Encrypt, Package and Backup with only one utility! 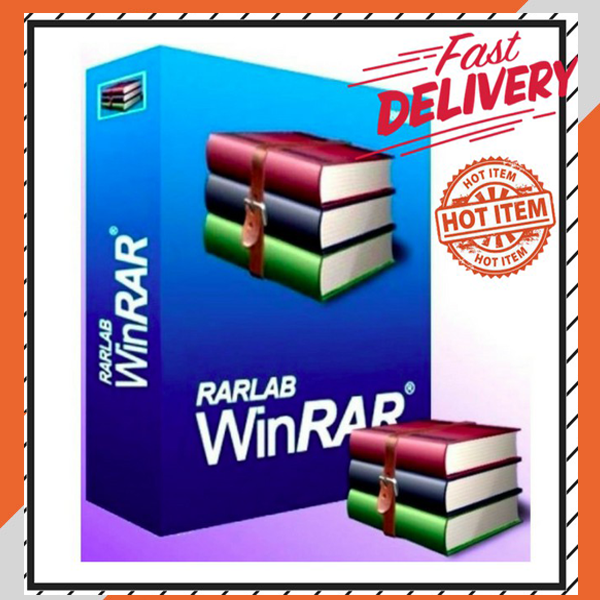 WinRAR provides complete support for RAR and ZIP archives and is able to unpack CAB, ARJ, LZH, TAR, GZ, ACE, UUE, BZ2, JAR, ISO, 7Z, XZ, Z archives. WinRAR offers a graphic interactive interface utilizing mouse and menus as well as the command line interface. WinRAR is easier to use than many other archivers with the inclusion of a special “Wizard” mode which allows instant access to the basic archiving functions through a simple question and answer procedure. This avoids confusion in the early stages of use. WinRAR offers you the benefit of industry strength archive encryption using AES (Advanced Encryption Standard) with a key of 256 bits. WinRAR supports files and archives up to 8,589 billion gigabytes in size. The number of archived files is, for all practical purposes, unlimited. WinRAR offers the ability to create self-extracting and multivolume archives. WinRAR features are constantly being developed to keep WinRAR ahead of the pack. Lost Key Support: Don’t worry if you have lost your WinRAR key, this will be sent to you via email within 48 hours of receiving your request.